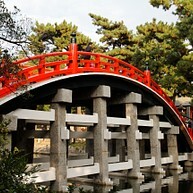 Sitting in the heart of the Kansai region, Osaka is its third largest city of Japan. It could be the closeness to Korea, China and the coast that has made it to become known as the “Kitchen of Japan”. Osaka’s people have a true zest for life. They promote a casual air and ease and are slightly, unconventionally boisterous. Osaka is regenerating, now recognising its past beauty and working hard to re-establish it. This stimulating city that works to live, is now more than ever a must-see. Opening hours: General business hours are from 7.30 to 16.30 and it is generally closed on Sundays. Banks are open from Monday to Friday between 9.00 and 15.00. Times may vary depending on store and bank. Shinsaibashi is the popular shopping area, Soemoncho is the entertainment neighbourhood and Dotombori is packed with theatres and restaurants. 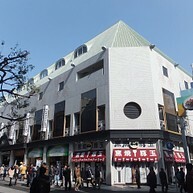 Here, you will come across the Shin-Kabukiza Theatre and the famous National Bunraku Puppet Theatre. Further south is the Shinsekai ward, where you cannot miss the 103-metre Tsutenkaku Tower, a recognised landmark of Osaka. This museum is not only impressive for its modern outside design, but offers visitors far more interesting things on the inside. 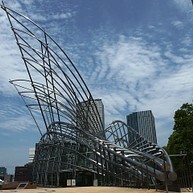 It exhibits Japanese as well as contemporary art from various artists from all over the world. Most of the exhibits are from the post-war era. 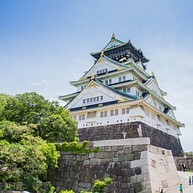 Osaka Castle is the city's most famous landmark. It was originally built in 1583 by the order of Hideyoshi Toyotomi but suffered several destructions throughout history. Rebuilt in 1931 with the external appearance created by Hideyoshi Toyotomi, the Japanese Government designated the main tower as a Registered Tangible Cultural Property years later, in 1997. 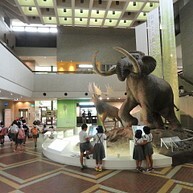 The Osaka Museum of History lies just outside Osaka Castle Park. It aims to bring the city'a history to life and features a multi-dimensional experience of the 1,400-year history of Osaka, with life-size reconstructions, scale models, and key photographs and movies. An entertaining and fun experience for young and old. 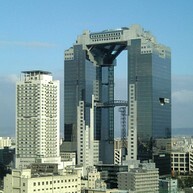 Shin Umeda City was completed in 1993 and has become one of Osaka's main points of orientation in the city. You can enjoy a great view over the city at the observatory on the 39th floor. Osaka Aquarium Kaiyukan is one of the biggest aquariums in the world, and has a great variety of fish, and even a few whale sharks. 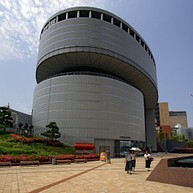 The Japanese word Kaiyukan, literally means "Playing in the Sea Pavilion". In this theatre you can view the fascinating and unusual art form "bunraku", which is a Japanese puppet drama derived from the 17th-century. There are also English programs available and earphones for translations. 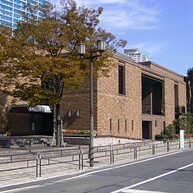 The Osaka Municipal Museum of Art offers artwork from the country's finest contemporary artists. The museum has sculptures, paintings and calligraphy from both known established artists and skilled newcomers. The Samiyoshi Taisha Shrine is one of Japan’s oldest shrines and it is registered as a National Treasure. Many events are staged at this historical location. Every year on New Year´s day, a large crowd gathers at the shrine to celebrate. This museum is specialized in ceramics and almost three thousand items from China and Korea are displayed here. The stylish museum has a world-class collection of oriental ceramics. Shitennoji Temple is the oldest officially administered temple in Japan. The temple was built by Prince Shotoku and had an important status in the city's trade history due to its location on the Bay. 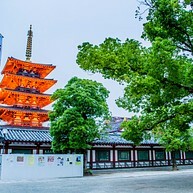 Throughout history, the temple has been reconstructed several times. This is a great place to go if you like playing video games while drinking since these two pleasures are combined at the Video Game Bar Space Station. 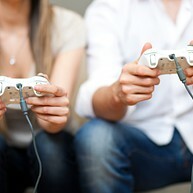 You can choose from game machines like Xbox, Super Nintendo, Genesis and many more. Dotonbori is one of Osaka's most popular areas. You can find almost everything here; theatres, bars, nightclubs, cafés, restaurants, you name it. All day and night, entertainment guaranteed! Another popular area is Shinsaibashi. This area features not only some of the best fashion stores in the world but also a great nightlife and local food. 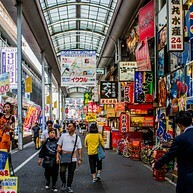 If you're looking for some fun, the Nanba Grand neighborhood is your place to go. 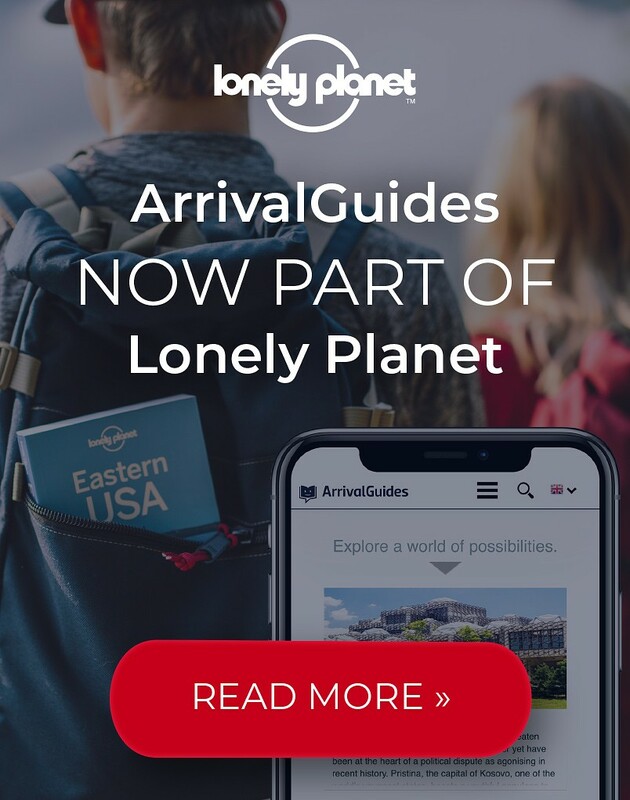 There is a multitude of entertainment centers, theaters, shops and you are guaranteed a fantastic vibe at this busy place. The Universal Studios Japan is the Hollywood equivalent theme park with attraction from your favourite movies. This is a great place for a whole day of family fun with numerous restaurants, rides and shows. This museum offers fun and education for the whole family. You can easily spend hours wandering through its exhibitions and permanent collections. If you’re interested in life, the universe and everything in between you can learn more about our solar system in the planetarium hall or join the science show.